TiO2 colloidal nanoparticles and nanocrystals are prepared by hydrolysis of titanium isopropoxide employing a surfactant-free synthetic hydrothermal method. The synthesized samples are characterized by X-ray diffraction (XRD), HRTEM and FTIR. The XRD study confirms that the size of the colloidal nanoparticle is around 4 nm which the HRTEM analysis indicates the sizes of the colloidal nanoparticles are in the range of 2.5 nm. 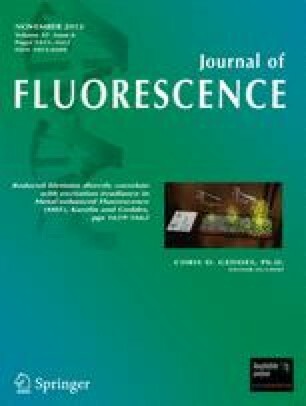 The fluorescence property of the TiO2 colloidal nanoparticles studied by the emission spectrum confirms the presence of defect levels caused by the oxygen vacancies. We have observed new emission bands at 387 nm,421 nm, 485 nm, 530 nm and 574 nm wavelengths, first one (387 nm) being emission due to annihilation of excitons while remaining four could be arising from surface states. The emission spectrum of annealed nanocrystallites is also having these four band emissions. It is observed that the surface state emission basically consists of two categories of emission. The authors wish to acknowledge UGC New Delhi for the financial assistance through CELOS project.